The dynamism of the retail industry’s most active, innovative and forward-thinking members is raising the stakes for everyone in the field. 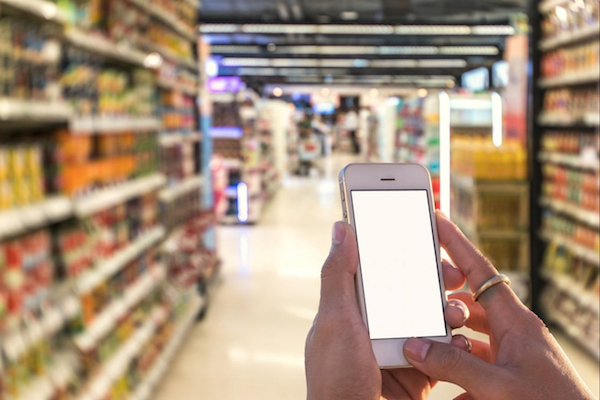 Major developments with potentially far-reaching implications for the way consumers shop are occurring at an unprecedented rate. In just the past few weeks, Walmart and Amazon.com Inc. have ratcheted up the pressure on their rivals. The world’s largest retailer joined forces with Google Inc. to offer consumers hundreds of thousands of items, including everyday essentials, for voice-activated shopping via Google Assistant. As part of the venture, Walmart will integrate its Easy Reorder feature into Google Express, enabling the retailer to provide personalized shopping recommendations based on customers’ previous purchases, both in-store and online. That’s just the beginning. Walmart promises that starting next year the company will leverage its 4,700 stores and fulfillment network in the United States to create customer experiences that don’t currently exist within the realm of voice shopping, including choosing to pick up an order in-store or using voice shopping to purchase fresh groceries. Meanwhile, archrival Amazon is busy expanding its omnichannel capabilities in the food and beverage arena. After winning Federal Trade Commission approval for its $13.7 billion acquisition of Whole Foods Market Inc., the company wasted no time in making products more affordable at the 460-store supermarket chain. On the day that Amazon took control of Whole Foods, the grocer cut prices on a number of staples across the store, while pledging to implement further reductions going forward. That commitment promises to intensify the already heated price competition among food retailers. In addition, the e-commerce company plans to tie its core business together with Whole Foods by making Amazon Prime the grocer’s customer rewards program, providing members with special savings and other in-store benefits, and place Amazon Lockers in selected outlets. Rapid changes in the retail environment, which cut across all trade classes, put a premium on companies’ ability to know where the market is and where it’s headed, understand how they fit into that framework, and execute on their respective strategies. Retail executives intent on overcoming those challenges found plenty to stimulate their thinking at the 2017 NACDS Total Store Expo. The event, which ran for four days in San Diego last month, was as much about ideas as merchandise. TSE attendees encountered a lot of things worthy of consideration. Gourlay and NACDS president and chief executive officer Steve Anderson shared their observations about the future of retail pharmacy, the industry’s impact on the patients and the communities it serves, and the Access Agenda that the association is advancing on behalf of its members. Insight Sessions dealt with a broad range of issues — everything from preventive diabetes management programs and Millennials and the workplace to pharmaceutical trends, issues and forecasts and the need to create dialogue within the drug supply chain. And retailers and suppliers had ample time to review current programs, assess new products and promotions, and talk about what’s on the horizon. If a single component of TSE can be said to best represent the spirit of the show, it is arguably Vision 2028, a group of exhibits that provided retail pharmacy operators and their suppliers a venue to explore cutting-edge technology through interactive demonstrations and dialogue with some of the people behind it. Developed by NACDS in partnership with XRC Labs, an innovation accelerator in the retail and consumer packaged goods sectors, and consulting firm Kantar Retail, Vision 2028 gave TSE attendees a chance to take a close look at such technologies as augmented and virtual reality, machine learning, robotics and computer facial recognition. While there were impressive aspects to all of the systems on display, it’s clear that some of them have more potential applicability to traditional retailing and the emerging omnichannel world than others. It’s up to industry executives to sort them out. That’s not an easy task in a field that changes as quickly as technology, but, as the recent moves by Amazon and Walmart show, it is a prerequisite for any retailer that wants to compete with them and succeed going forward. Technology is changing the rules of the game. NACDS deserves credit for helping participants at TSE get a handle on that phenomenon, as well as the other major forces that are reshaping the community pharmacy business.